Confidence EQ contains synthetic equine appeasing pheromone, a substance that mares release after giving birth, which reassures their foals. It can also have a calming effect in adult horses. It comes as a gel which is simply applied around the nostrils. 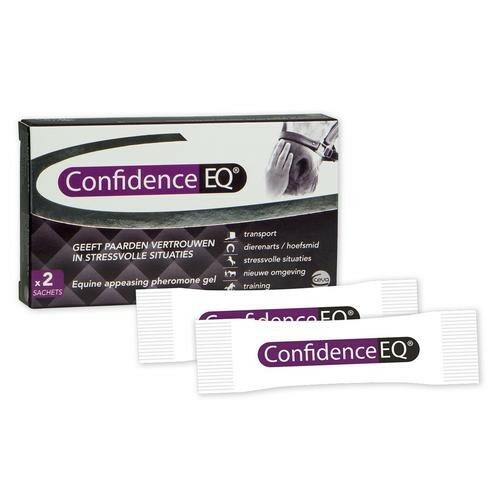 Confidence EQ is ideal to use in challenging situations, such as vet/farrier/dentist visits; competitions; travelling; new environments or training. Confidence EQ should be applied 30 minutes before the stressful situation & will last for 2.5 hours after being applied. One sachet does one application.